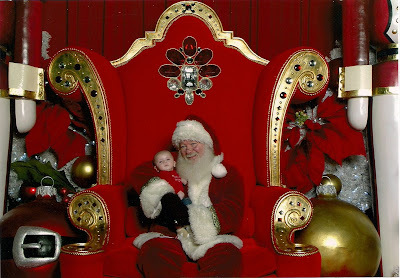 I told Santa that I would like to eat rice cereal... yay soon to be a little eater! WHAT DID YOU ASK SANTA TO BRING YOU FOR CHRISTMAS? 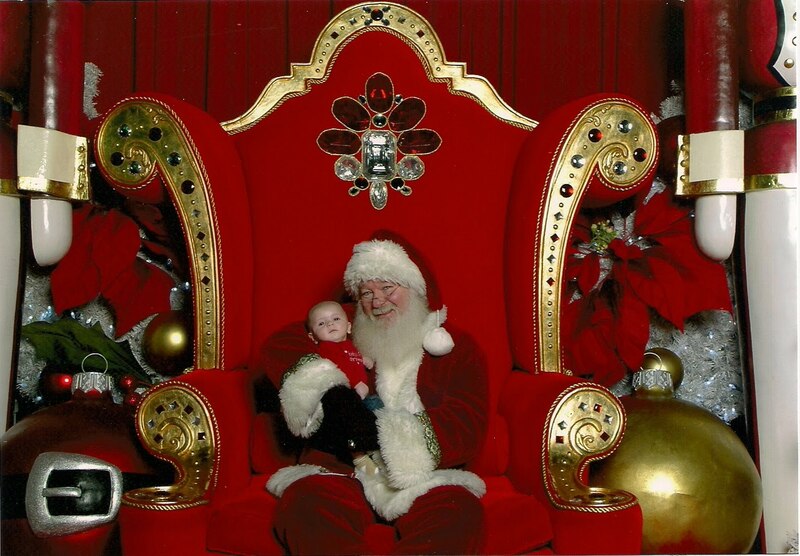 Cute pic with Santa, Austin! My kids sat on Santa's lap when they were tiny. The year between age 1-2 is when mine have freaked out over it. 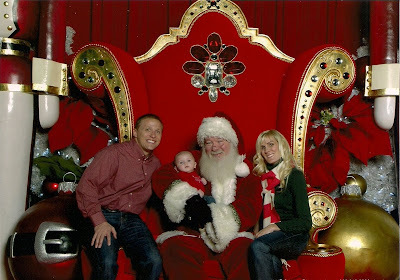 I sat with Anna on Santa's lap this year....wasn't planning on my pic being taken, but oh well. Too cute! And you look beautiful, Lynette! Where did you find this amazing Santa? Love it. Merry Christmas to all ya'lls! Will you email me your address? I'm working on Christmas cards. Ours is 3211 W. Shiloh Creek Ave. Stillwater, OK 74074.